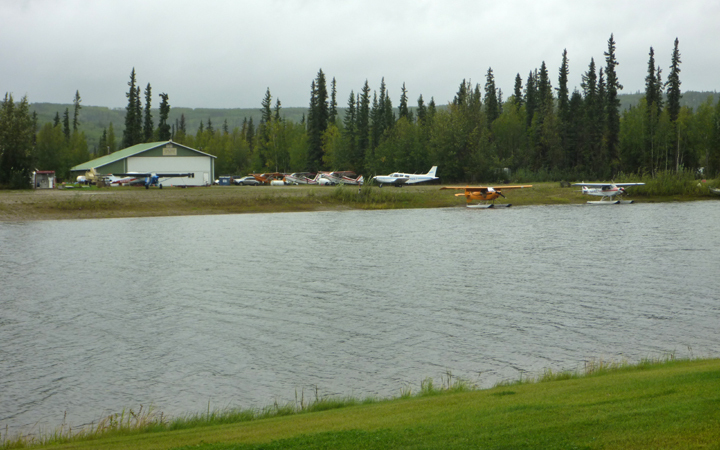 Cool rainy weather stayed with us throughout our visit to Fairbanks and beyond. 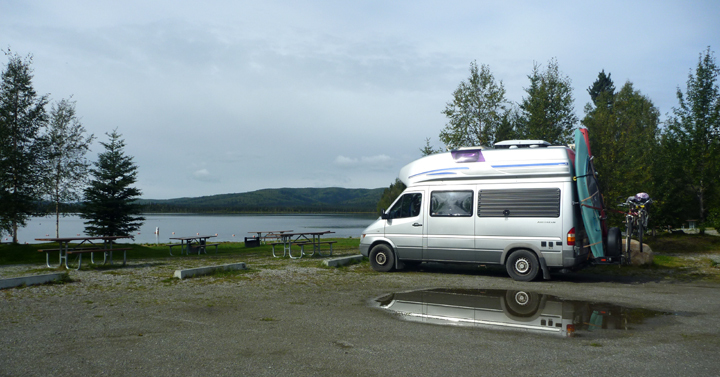 As I write this we are the only campers at Birch Lake on the Richardson Highway. Nice and quiet, but not much to do while the temps hover in the low 40’s. The sun did peak out for a couple of hours this afternoon, so we took that opportunity to stretch our legs a bit with a hike. Thankfully we do have internet access as we wait for better weather. South of here the Richardson is supposed to be quite scenic and we don’t want to miss any of the dramatic vistas (follow link above to see photos). Forecasts call for clear weather by Monday or Tuesday, so we are trying to be patient. As long as we get to the lower 48 before winter sets in, we’ll be all set. We have been pleasantly surprised by the “big” cities in Alaska. We often try to circumnavigate major population centers, but both Fairbanks and Anchorage were pleasant to visit. Fairbanks made even more so by a nice invitation to camp in the driveway of fellow travelers Leslie and Gary, who we met a few weeks. (Thank you!) Their house is situated on a private water air strip, something I’ve never seen before. Leslie & Gary’s back yard water runway. We skipped most outside activities in Fairbanks, but we did enjoy the Thompson Cultural & Visitor Center, the local Farmers Market, Co-op Market, and the Museum of the North, as well as the amenities (laundry, showers, low-cost groceries, etc.) at Fort Wainwright. 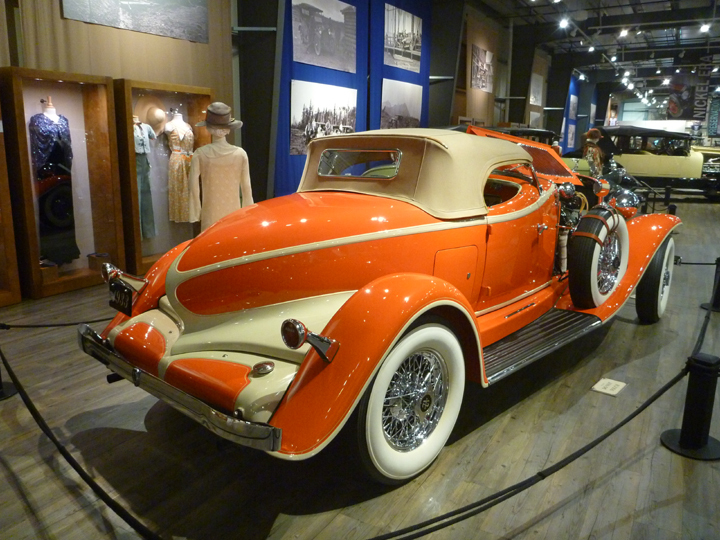 The highlight of our visit, was the phenomenal Fountainhead Antique Automobile Museum. We’ve been to a lot of transportation museums, but this one has to be the best of this category. 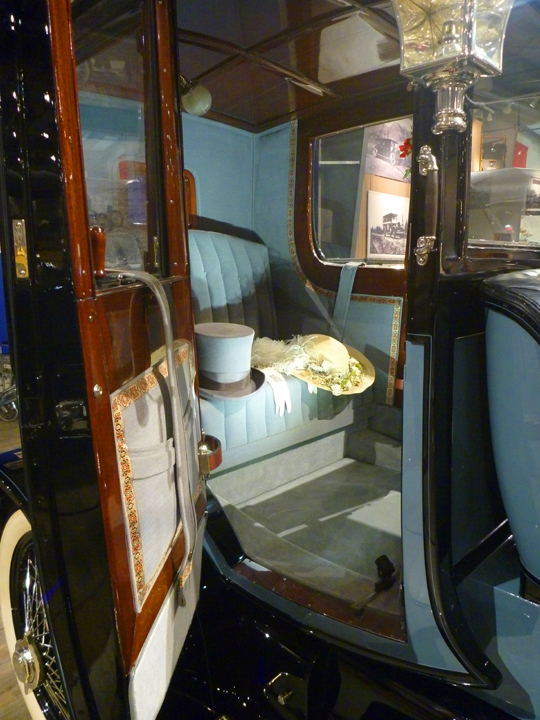 Everything was spotless, impeccably restored or preserved, and unbelievably shiny. 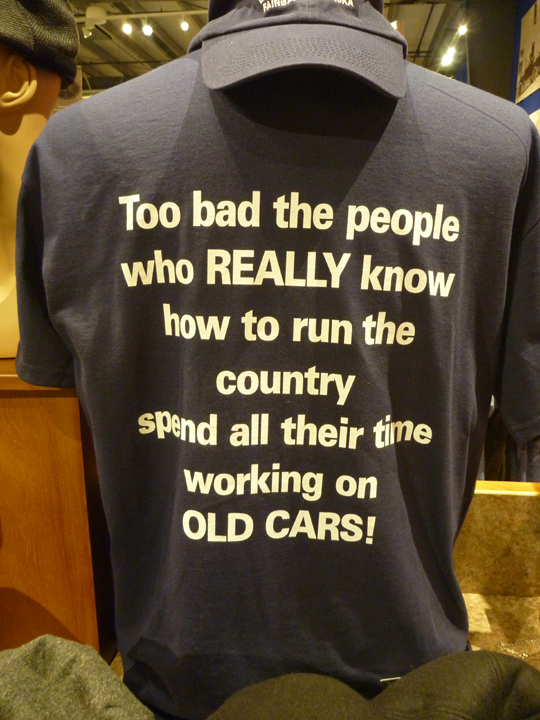 I know a few who would agree with this sentiment. I didn’t get to drive this beauty, but it was fun to pretend. 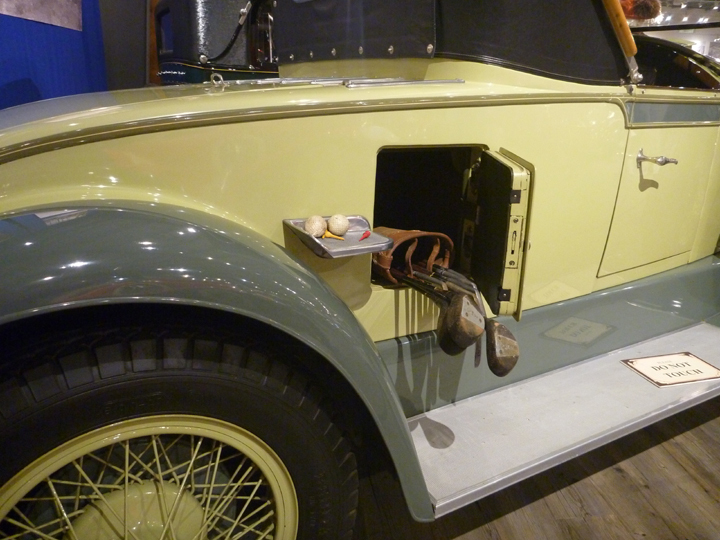 This 1914 Woods Mobilette is basically a motorcycle with four wheels. 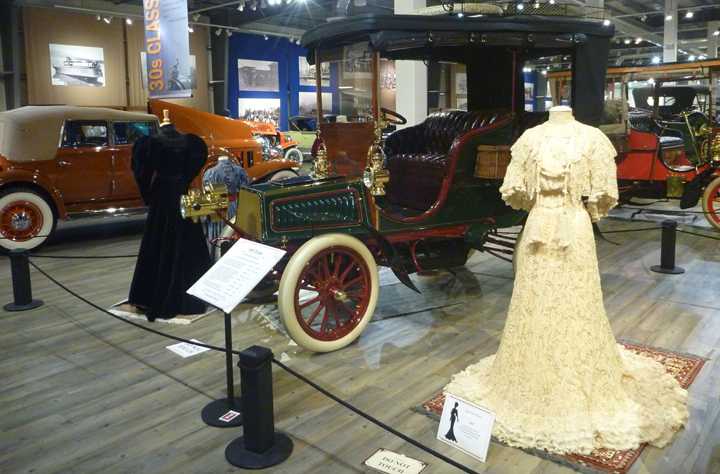 Isn’t it fun that they pair period costumes with the vehicles? The attention to detail is evident everywhere. A place to keep your golf clubs…of course. My favorite. 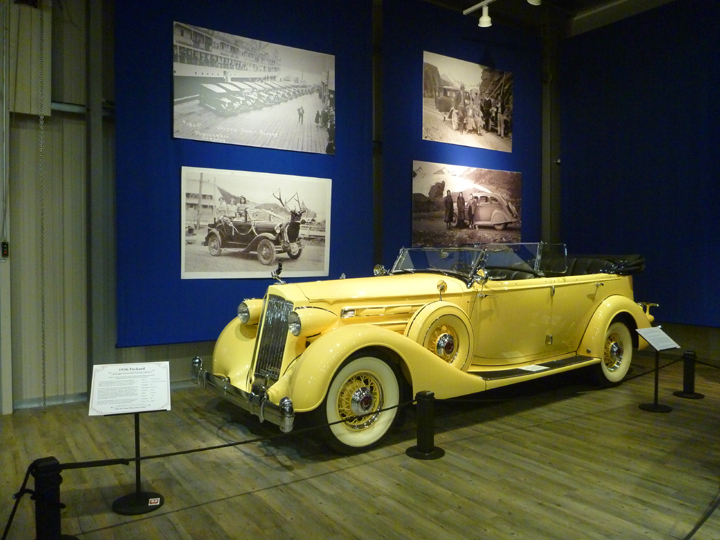 A 1933 Auburn. Frank Lloyd Wright designed the color scheme. 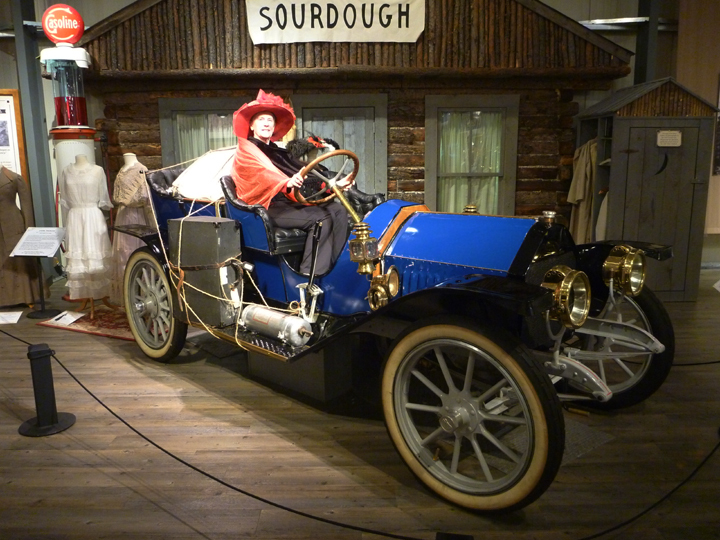 The museum also includes lots of historic photos of the early days of automobiles in Alaska. Hoping to share sunnier days with you soon. It just started raining here again. What a back yard! 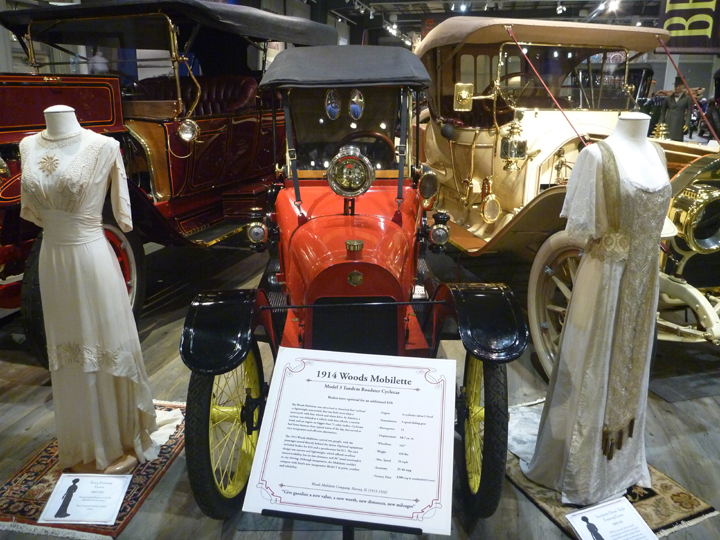 Very nice auto museum. Hope you get to the warmer temps soon. All comes with the territory! that orange car is meant for you!